Cruising is a pretty cosmopolitan business these days, but sometimes we all crave home comforts. When you open your cabin door on Thomson’s TUI Discovery, you’ll find Yorkshire teabags from Taylors of Harrogate and a proper kettle to brew up with. From that moment on, you know you’re in good hands. 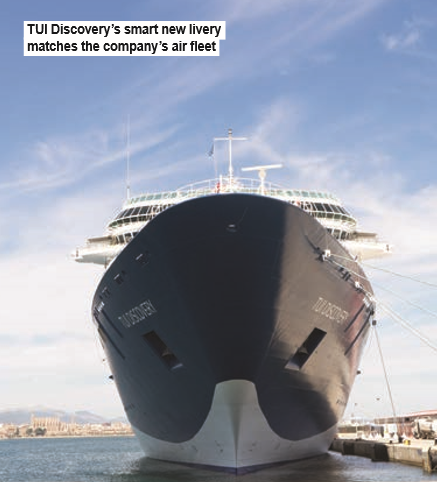 TUI Discovery – the name change is part of a re-branding for the whole travel company – represents a new dawn for Thomson Cruises. Recently acquired from Royal Caribbean, she is comfortably the biggest of the Thomson fleet, and 356 of her 915 cabins have balconies – good news for passengers more accustomed to taking their sea views through a porthole. 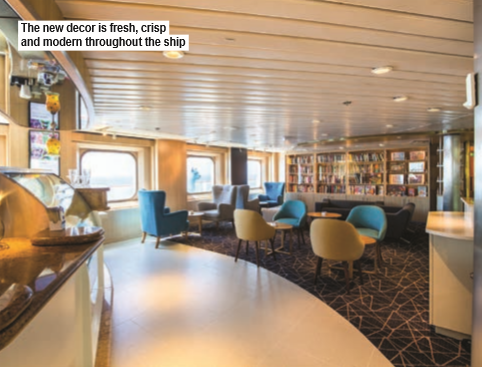 Launched in 1996 as Splendour of the Seas, the ship still looks fresh thanks to a £36 million refurbishment less than five years ago, and a further £10 million makeover by her new owners. The most visible sign of the latter is the blue-and-white paint job that echoes the livery of Thomson’s fleet of passenger jets, but plenty has happened below decks too. Royal Caribbean’s casino has become the Live Room, a music and dancing venue with a handful of gaming tables. There is outrageous pink leather upholstery, a canary-yellow piano and a virtual band – a four-piece guitar group whose life-size image fills LED screens with more than 100 prerecorded tracks. There’s much more premium accommodation than Thomson passengers are used to, but even the smallest cabins are relatively generous. Many have sitting areas, and there’s no shortage of hanging space, cupboards, and drawers. The refurb has not extended to replacing electrical sockets, however, so guests must remember to bring adaptors with them, and the ship betrays its age by not being equipped with USB sockets for charging phones and tablets. Where Thomson has gone to town is with the food and drink. There are no less than seven venues for dinner, and four for breakfast, plus six bars and a coffee shop. Two of the restaurants command an extra charge, both on Deck 11, conveniently close to the Bar Eleven cocktail bar. Kora La is an à la carte Pan-Asian restaurant and sushi bar with menus curated by Ian Pengelley, the man behind Gilgamesh in London’s Camden and House of Ho in Fitzrovia. On TUI Discovery his menu covers much of south Asia, with duck and watermelon salad from Thailand, Punjabi roast chicken and a selection of curries. Across the way is the Surf & Turf steakhouse, serving 28-day aged Aberdeen Angus beef and lobster tail as its signature dish, with chops, chicken and fish as alternative options. 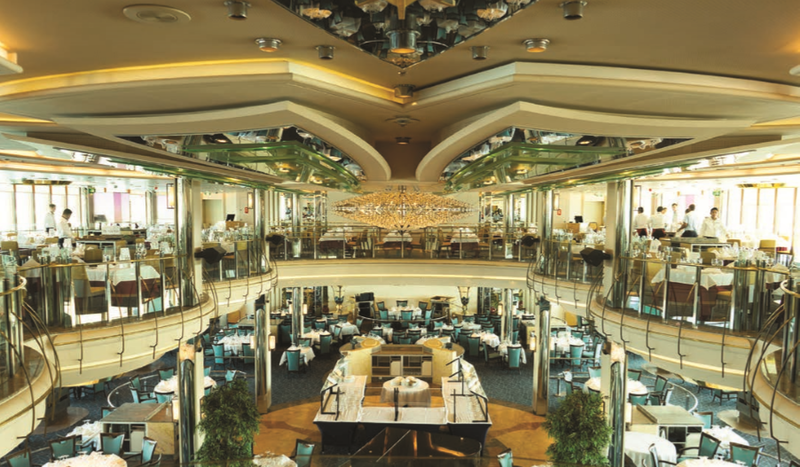 The main dining room is on two levels, named after the line of latitude where the vessel was built, and both are wonderfully airy, thanks to floor-to-ceiling windows. Filling the lower half is 47˚, where they serve a daily-changing menu of favourites old and new – and some occasional surprises such as vegetable kebabs. Upstairs is Gallery 47˚ which, after a survey to find Thomson guests’ favourite cuisine, is an Italian restaurant serving ever-popular pasta and pizza. Royal Caribbean’s Windjammer buffet, forward on Deck 9, has been transformed into Islands, and offers great views as well as a wide selection of food. In the indoor pool area is The Glass House, serving snacks and tapas during the day, and transforming into a hot stone grill in the evening. Over by the outdoor pool, The Snack Shack is exactly what you might expect, with added popcorn to accompany the big screen Movies at Midnight. The main entertainment venue is the 800-seat Broadway Theatre. With 11 brand new shows, packed with popular hits, and a backstage wardrobe of some 2,000 costumes, these look set to be pretty special (clue: each performer puts in 800 hours of rehearsal to work on high-kicking dance routines). Kids can get away from their parents at their own Hideout teen room, while the oldies can get their own back at the peaceful adults-only Veranda deck where drinks waiters can be summoned at the push of a remote control button. TUI Discovery has retained Royal Caribbean’s climbing wall – a first for Thomson – and has added an adventurous “escape” game for families and groups of friends. You’ll also find up-to-date features such as touch-screen info kiosks for booking spa treatments and shore excursions, and wall-mounted monitors to keep everyone informed about what’s happening around the ship. At the launch ceremony – a glitzy affair with a bill-topping performance by hit singer Jess Glynne – Thomson Cruises’ managing director Helen Caron left us in no doubt about the importance of the occasion. For now, that mainly means the Med and Canaries in the summer, and the Caribbean in winter (political unrest has put an end to Red Sea cruises to Egypt and Jordan for now). In 2017, TUI Discovery and Thomson Majesty will sail from Palma, Mallorca, while Thomson Dream will be based in Corfu. Adults-only Thomson Spirit sets up base in Dubrovnik, while Thomson Celebration sails from Newcastle upon Tyne between June and September. 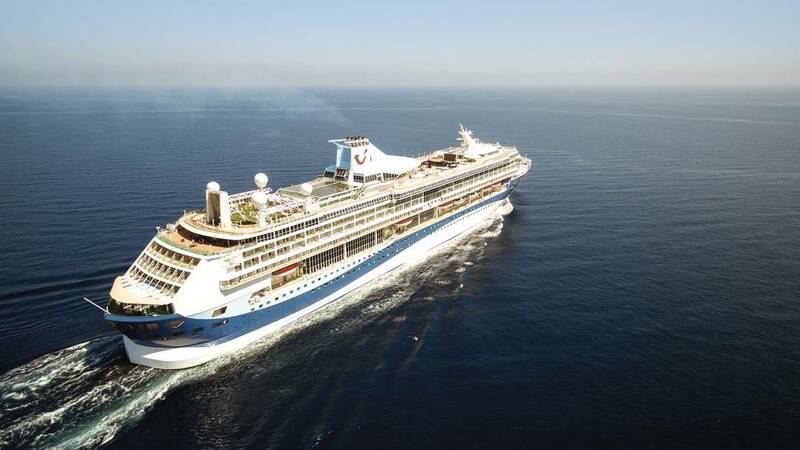 Next year sees the arrival of TUI Discovery 2 – the former Legend of the Seas – while in 2018 and 2019 the line will gain the former Mein Schiff 1 and Mein Schiff 2 from its German sister company. It’s an impressive new chapter for Thomson – and the story is set to continue.